Starkey Hearing Technologies (formerly Starkey Laboratories Inc.) is based in the USA and was founded in 1967 by William Austin. Starting out as a little repair shop, Starkey are now producing excellent technology and proving to be competition for their Swiss and Danish rivals. Their UK head office can be found in Stockport, Cheshire. 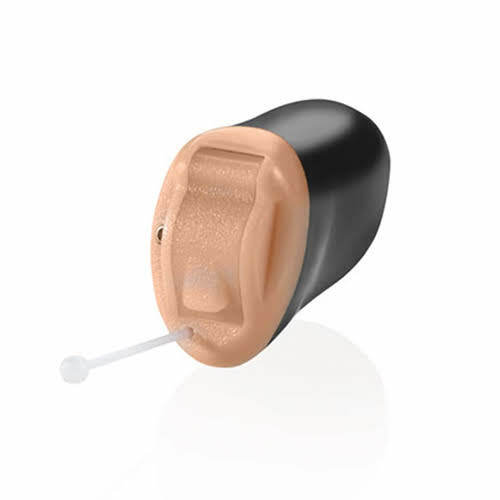 Starkey currently have what some consider to be the best feedback cancelling system available today and they also have one of the most water and dust resistant coatings. They are also one of the leading manufacturers when it comes to ‘invisible’ hearing aid technology with their IIC hearing aids growing rapidly in popularity. 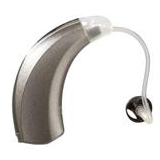 They have always been highly regarded for their custom (in the ear) hearing aids. For those who are more technologically minded, Starkey have also developed an innovative new Made For iPhone hearing aid range called the Halo. 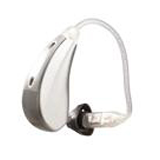 SoundLens Synergy is Starkey's most-advanced invisible hearing aids on the market. Custom fit to your exact needs and unique ear canal shape, they rest comfortably deep in your ear, so only you know they’re there. And though tiny, SoundLens Synergy comes loaded with all of their leading technology. 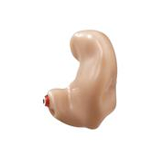 They were first and most popular custom-fit Invisible-in-the-Canal (IIC) hearing aids ever made. The wireless connectivity gives you the ability to connect to all of the devices you use every day. Connect to your mobile phone or any of the Starkey Wireless Accessory products while wearing the most discreet hearing aids available. The Muse™ is Starkey's latest wireless hearing solution with their all-new Synergy® platform. Synergy is the only platform to feature quad-core twin compressor technology and the first to provide supreme precision for audibility and the ultimate optimisation for listening enjoyment. Synergy, in combination with Acuity OS, their new high-definition operating system, enables speech and sounds like music to be processed uniquely for the first time ever. Delivering advancing speech audibility and listening enjoyment of music in all environments. The Muse range comes in a variety of styles. 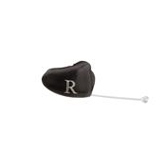 Wireless RIC (receiver-in-canal) device, small, ultra discreet but powerful hearing solution. With push button and multiflex tinnitus therapy (size 312 battery). Now comes with rechargeable option. 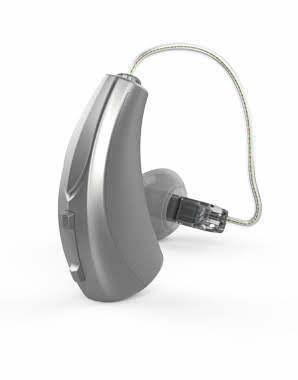 The Halo 2™ is Starkey's latest wireless hearing solution with their all-new Synergy® platform. Synergy is the only platform to feature quad-core twin compressor technology and the first to provide supreme precision for audibility and the ultimate optimisation for listening enjoyment. Synergy, in combination with Acuity OS, their new high-definition operating system, enables speech and sounds like music to be processed uniquely for the first time ever. Delivering advancing speech audibility and listening enjoyment of music in all environments. 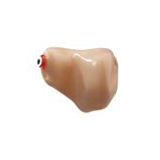 Wireless RIC (receiver-in-canal) device, small, ultra discreet but powerful hearing solution. With push button and multiflex tinnitus therapy (size 13 battery). A relatively discreet option that offers good battery life from the size 13 battery. 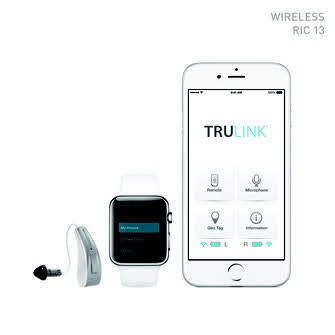 The new Halo 2 RIC 312 allows people to benefit from a small, nearly invisible Made for iPhone hearing aid. The Halo 2 family also benefits from all of the new and improved features of Acuity OS 2. Small, ultra discreet but powerful hearing solution. With push button and multiflex tinnitus therapy (size 312 battery). The smaller battery will mean sacrificing discretion for battery life. Z Series tackles hearing in the most challenging and noisy environments by addressing noise, while at the same time prioritising speech, making conversation more pleasant. The more channels a hearing aid has, the better the sound quality. With 16 channels to process the sounds around you, this offers great sound and speech clarity. This feature has different levels for each different model. The i110 is the most powerful in the range at level 5. This, along with the audioscapes settings can detect whether you are in a quiet environment or if there is wind noise and make subtle adjustments to ensure great hearing. It can also detect machine noise as well as speech in noise, clarifying the speech whilst reducing the effect of the noise in the background. This allows you to change the volume and memory on both hearing aids at the same time as well as changing to telephone mode. The binaural telephone mode clarifies the speech in your telephone ear whilst reducing distractions by lowering the sound in your other hearing aid. The Z Series is fully compatible with Starkey’s range of Surflink accessories which include media streamers, mobile telephones and remote controls. Spatial streaming lets you listen wirelessly to your music, PC or TV whenever you are in range. and gives you the best performance in all settings. Stream boost is an automatic setting which enhances audio streaming in more demanding environments, ensuring the best wireless performance in all settings. 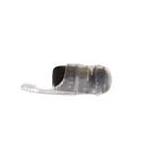 The directional microphones are designed to give you better speech audibility in noisy situations. This program is able to recognise speech no matter which direction it is coming from. This feature makes speech clear and loud sounds more comfortable by assessing your environment and making subtle adjustments. A tinnitus reliever feature which can be programmed to your own needs. This nano coating works to repel wax and moisture, ensuring that your hearing aid stays working at its best. Other features include live speech mapping and advanced memory programs, so you can have your favourite settings when you are listening to music or the TV. 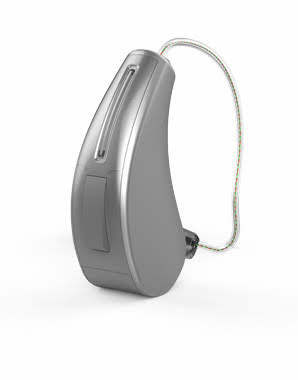 All models in the Z series range benefit from Starkey’s 900 sync technology which allow these programs to work together to produce a high quality listening experience in challenging environments. 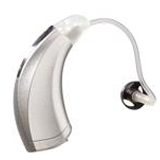 Its wireless capability ensures synchronisation between hearing aids and three dimensional sound quality. The i110 is available in a wide range of styles and fittings so that you can choose the right one for you and your lifestyle. These smaller styles are available in 5 faceplate colours and 4 shell colours, they are custom made to fit the contours of your ear to ensure a secure and comfortable fit. Behind The Ear (BTE) including a BTE mini and BTE power plus. this is suitable for all levels of hearing loss from moderate to severe. Receiver In Canal (RIC) including a micro RIC with multiflex tinnitus option. These are suitable for mild to moderate hearing loss. These styles are available in different power levels to suit your level of hearing loss. All styles have a memory button and - with the exclusion of the CIC style, all have volume control and directional microphones. 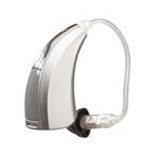 The i90 is one of the more powerful hearing aids in the Starkey Z series. It is ideal for people with an active and busy social life and is designed for listening in noisy environments such as the work place, shopping centres and social occasions as well as meetings, restaurants and outdoor activities. The more channels a hearing aid has, the better the sound quality. With 12 channels to process the sounds around you, this offers great sound and speech clarity. This feature has different levels for each different model. The i90 is the second most powerful in the range at level 3. This works to assess your environment and detect background noise such as machine or wind noise as well as speech in noise. It can separate the speech sound from the background noise to give you better hearing clarity. This feature detects the whistle or buzz of feedback and filters it out before you know it is there. This powerful program can be tailored to suit you and your lifestyle. This function allows user to reduce background noise without changing speech quality using the Surflink remote control. This is ideal for listening to conversation in demanding environments. This feature enhances and preserves speech whilst managing background noise, ideal for busy environments. Spatial streaming ensures that your hearing aids are always working together no matter how difficult your listening environment is. This ensures that you have the best performance in all settings. Stream boost works to boost audio streaming in demanding environments. Directional microphones are designed to help you hear speech in noisy environments. This feature is able to recognise speech no matter which direction it is coming from. This makes loud sounds more comfortable by assessing your environment and making subtle adjustments. Other features include live speech mapping and advanced memory programs, so you can always have your favourite settings when you are listening to music or the TV. 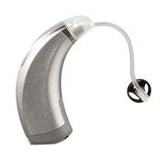 The Starkey Z Series has technology levels to suit every kind of lifestyle. The i70 is the mid range level hearing aid with select technology making it ideal for a variety of environments such as outdoor pursuits, one to one conversations, meetings, restaurants and small social occasions. 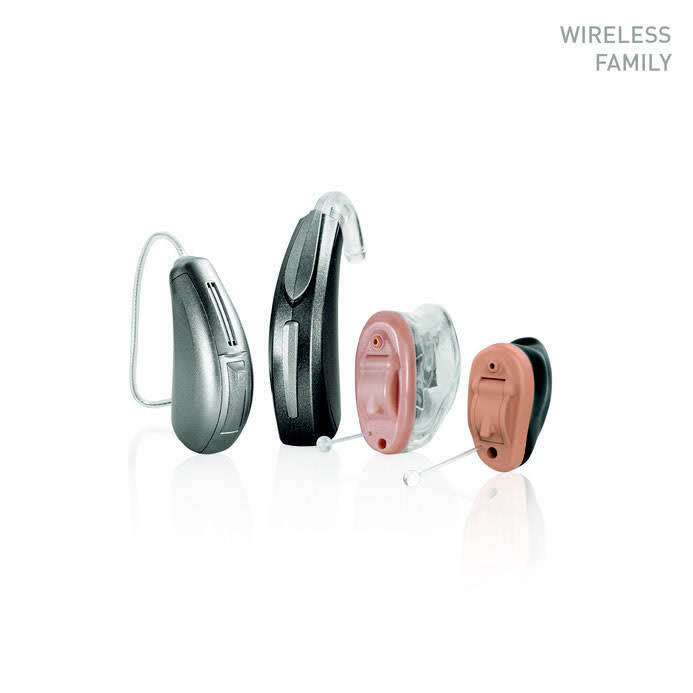 These wireless hearing aids are equipped with Starkey’s 900 Sync technology which ensures that both hearing aids are always working together, whatever their setting, to give you 3D like sound quality. It also ensures great sound streaming quality in difficult listening situations. The i70 has 8 channels to process and analyse sound ensuring great sound quality. The Acoustic Scene Analyser and Audioscape program work with each other to detect background noise and speech in different environments. The i70 is set at level 2 and can detect changes such as wind noise or a quiet speech. Unlike the less powerful hearing aids in the Z range it can also detect changes in speech volume, giving you better clarity and machine noise. No matter how demanding your listening environment, Starkey’s feedback eliminator works to filter out the whistle or buzz of feedback before you hear it. Compatible Surflink accessories include mobile telephones, remote controls and media streamers which stream sound from your music player or TV when you are in range. ISO clear compression identifies high frequency sounds, such as women and children talking or softer speech, and replicates it within your hearing range. It does this without distorting louder, easier to hear voices. This function gives the user control over background noise reduction, via the Surflink remote, so they can hear speech better in noisy environments. The i70 is the lowest technology level in the Z Series to have this feature. This feature detects speech sounds and gives them clarity while reducing background noise. This makes it easier to hear conversation in noisy places. Stream Boost helps to boost audio streaming in more challenging environments ensuring fewer distractions. Spatial streaming makes sure that your hearing aids are working together giving you the best listening performance in all settings. The directional microphones help you to focus on speech in busy environments with lots of background noise. This makes speech clearer and loud sounds more comfortable by assessing your environment and making subtle adjustments. 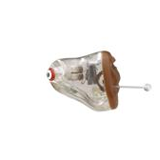 The i70 is available in a wide range of fittings colours and styles, making it easy to find your ideal hearing aid.